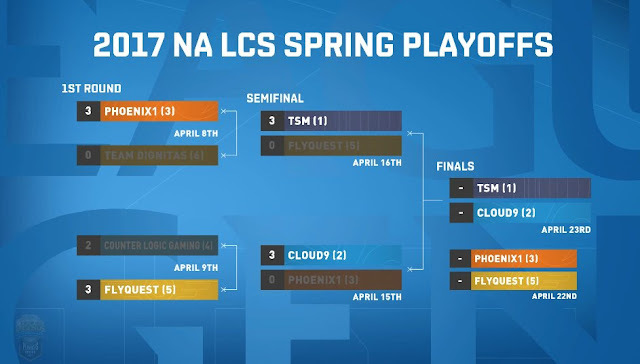 NA LCS Spring playoffs continue this weekend with the Finals! The NA LCS Spring Playoffs will have the top 6 NA teams playing in Bof5 games. They will be chasing the NA LCS Spring Split Championship, a spot at MSI 2017, as well as championship points that go toward the 2017 World Championship. Check out this infographic for more info! LCS Spring Playoffs will be played on patch 7.6.